A bad grinder can ruin great beans. And no matter how expensive your brewer, you can't compensate for an inconsistent grind or overheated beans. When it comes to choosing a grinder, the two major categories are burr grinders and blade grinders. Knowing the difference between them can help you find your way to a morning coffee that's worth waking up early for. It has two blades that whir around in a container, chopping vegetables to finer and finer bits. This is basically what a blade grinder is, but on a smaller scale. In fact, “grinder” doesn't accurately describe the blade versions. The blades cut and bash up the beans as they spin rather than grinding them. The blades are located near the bottom of the grinding reservoir. You pour beans on top and put the lid back on. 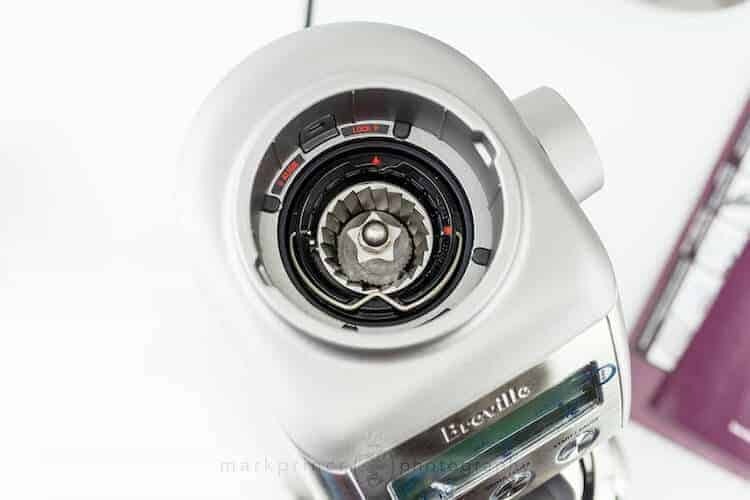 Generally, there is a button on the front or top of the grinder that you push to set the blades whirring. As the blades spin, they chop the beans into smaller pieces. They also create a bit of a whirlpool effect as they pull larger beans and bits of beans down into the blades. The longer you grind, the finer your coffee will be. A few short pulses will give you a coarse grind suitable for a French press or plunger pot brew. 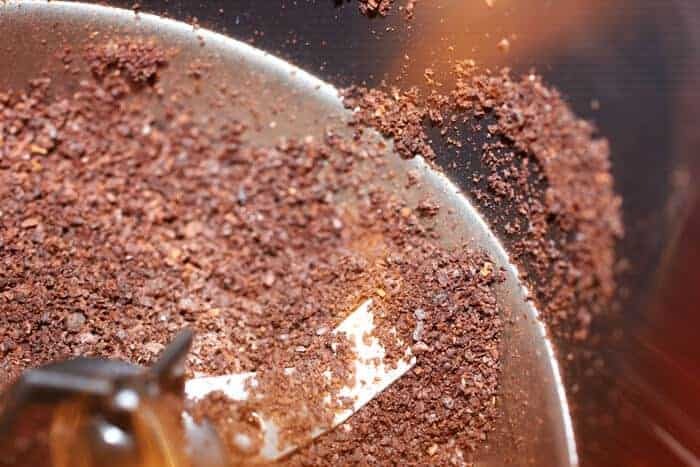 Repeated grinding will get you a grind that works for most drip coffee makers. Overall, blade grinders are fast, compact, and inexpensive. You can find them for under $20 up to around $100. 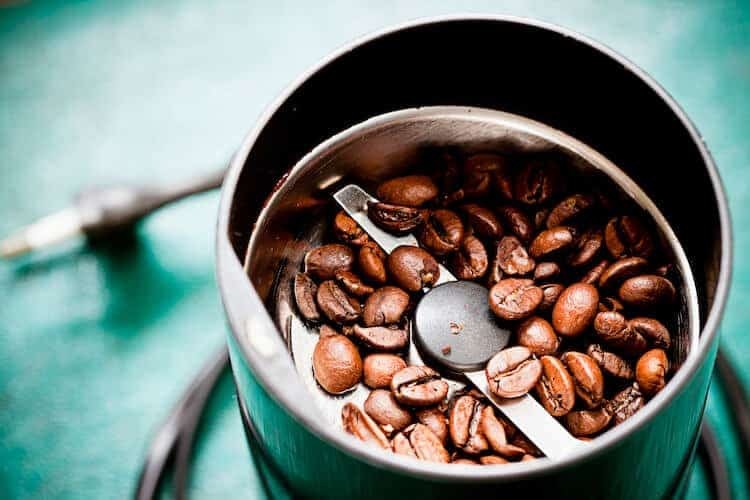 Visit most any coffee shop, or the home of a coffee aficionado, and you'll find a burr grinder of some sort. Sometimes called a burr mill, they grind coffee beans by rubbing them between two abrasive surfaces. A bean is broken into pieces by larger burrs. These pieces then make their way to smaller and smaller burrs until they are the selected size. Since pieces have to be small enough to make to the next level of burr, you end up with a very consistent grind. There are several variations of burr grinders. 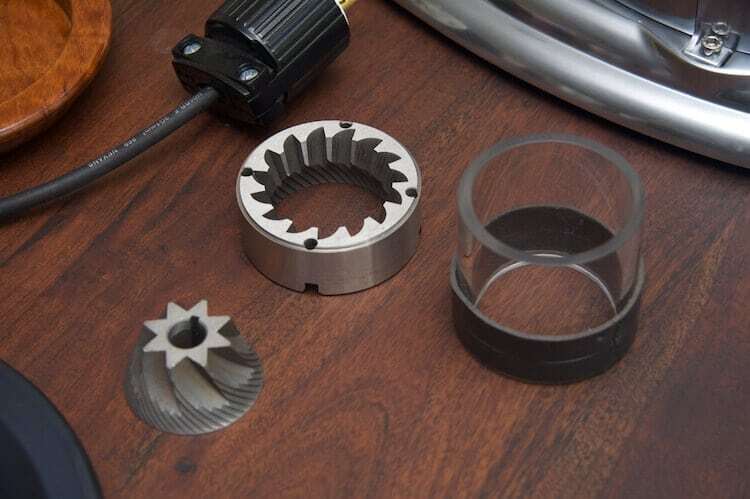 One major division is whether a grinder uses conical or flat burrs. The good news is that both produce a consistent grind. Flat burrs use discs with the burrs in between them. Conical burrs use cone-shaped rings where one sits inside the other. Some flat burrs tend to retain more coffee in the burrs, which means you'll lose more coffee in the process, especially for espresso blends. And some baristas suggest conical burrs are a more forgiving when doing adjustments. On the whole, the conical versus flat debate is mostly academic. If you have a quality grinder, you'll get consistent results. Another difference in burr grinders is what materials the burrs are made from. Your options are metal (usually steel) or ceramic. Either one will do a great job. Steel burrs are generally more finely engineered. 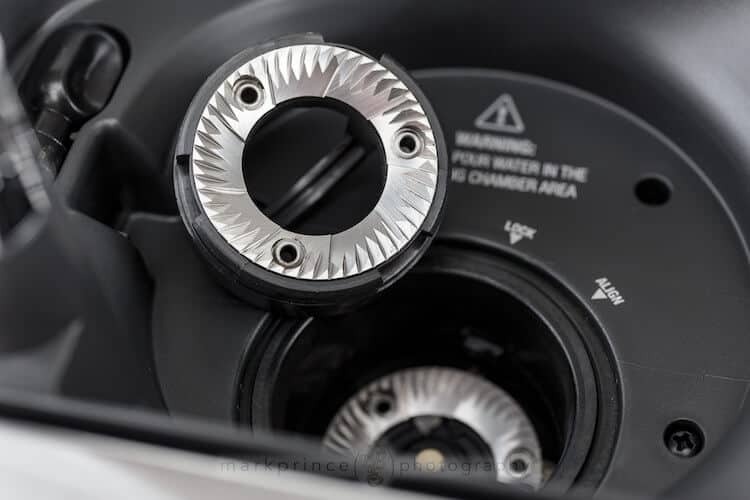 According to Baratza, they “produce a more even particle distribution and less fines.” That makes them excellent for pourovers and single-source coffee. Ultimately, as with the burr shape, the ceramic vs steel issue is going to be about personal taste. If you're brewing mostly espresso, you might steer more toward a ceramic burr grinder. In general, the low speed (high RPM) motors are in less expensive ($200 range) grinders. They have smaller motors and use gear-reduction to turn the burrs at a slower rate. Because of this, they typically have smaller burrs, which means they will be slower and not as good for espresso grinds. The higher speed (lower RPM) grinders usually have larger motors that are direct shaft. This means they are faster and a little more consistent because they can handle larger burrs. There are fewer parts to wear out. They are higher quality and more expensive. Finally, we have the manual grinder. These tend to produce the same quality grind as the electric models. In fact, some manual grinders can even produce a finer grind (for Turkish coffee, for example) than much more expensive electric grinders. They are generally consistent, and they are extremely portable. The tradeoff is that they are much, much slower. And they require you to turn a crank. For an espresso, you could spend 10 minutes grinding away in the morning. 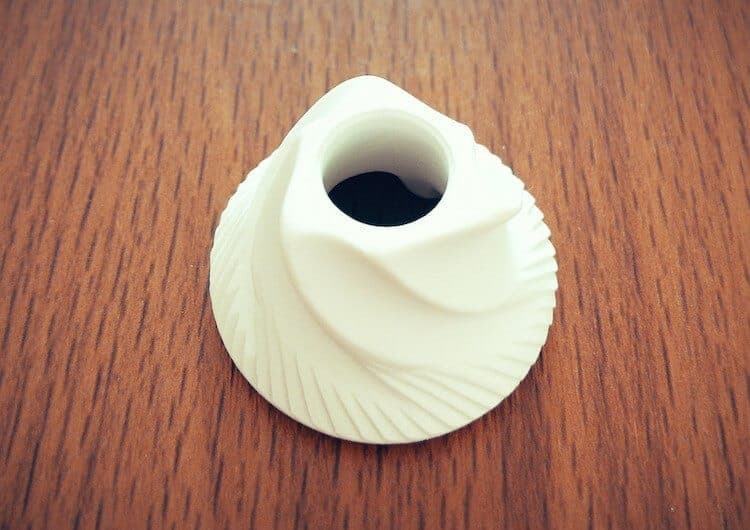 They are more practical for coarser grind like French press or drip coffees. Which is Better: Burr or Blade? So you've got all those options. Which do you choose? Hands down, the burr grinder wins on consistency. The lower-end models can handle coarse grinds with no problems and even achieve decent results for some espresso machines. The blade grinder just isn't going to give you consistent results. You can help it by pulsing and shaking the grinder when you use it. But it will never achieve a burr-quality grind, and you'll have a hard time getting a decent espresso from a blade. The blade grinder is going to heat your beans prematurely. This can lead to a deterioration in quality and flavor. You will get some heat transfer with less expensive burr grinders as well, but it won't be as much of an issue. So the burr grinder wins out here as well. Blade grinders are fast. For a single pot, or a pourover, they can get you a quick grind. They don't work well with larger quantities though because of the inconsistency and heat issues. If you need to grind a lot, a blade grinder just won't cut it. Here's where the blade grinder shines. It uses simple mechanics and can be cheaply built. So you can get into a blade grinder for under $20. 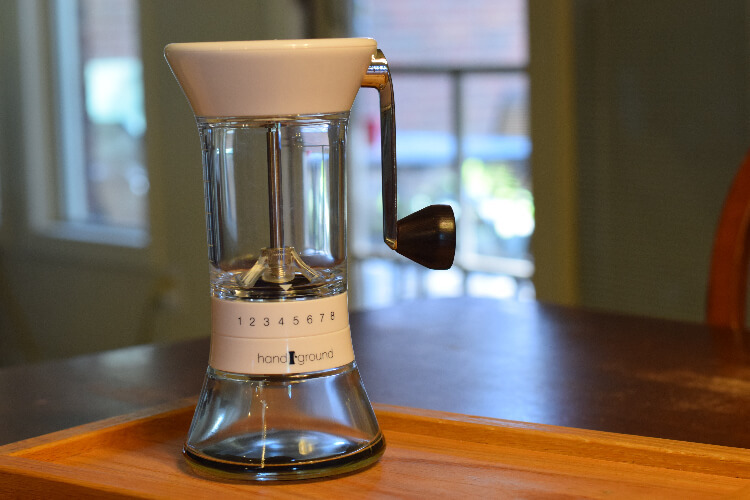 An acceptable burr grinder is going to be at least $100. For a good one, you're looking at $200-$400. 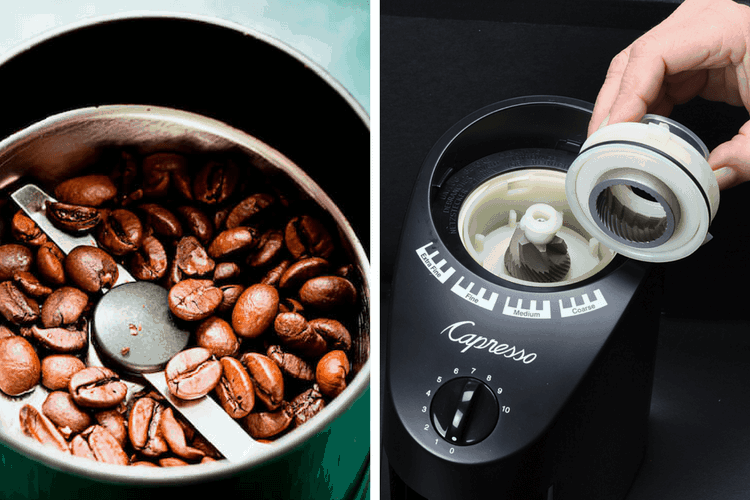 And, of course, you can easily spend over $1,000 on a high-quality grinder. What's the deal with false burrs? If you come across a burr grinder that's $50 or less, be careful. These cheaper options are technically burr grinders, but they are dull and do not have the definition of true burr grinders. Instead, they work almost like a blade grinder, with the larger burrs doing most of the smashing as they spin around. Depending on the model, they are often not any better than blade grinders. They are often bulkier and more expensive though. So you might as well go with a cheaper blade grinder or consider a manual burr grinder. It seems like a lot of information, but this really just skims the surface. The main thing is that you take some time to think about what you want out of your coffee routine. If you brew a lot of espresso, you'll need a decent burr grinder. If you tend to work with coarser grinds, a cheaper burr grinder or manual grinder could work. Ultimately, you should get the best grinder you can afford. A quality grind can help you work magic, and a grinder will stick with you as you upgrade the rest of your equipment. Appreciated very much for the info on difference between two. Now I know. It is an excellent article. This is really great info! Thanks!